This book was hilarious! I hope you like it as much as I did. I'm swapping books with biba89! I'll send this book out on Friday. I sent this book to a fellow BookCrosser. I hope you enjoy this book! It has arrived! And I read it in one go. 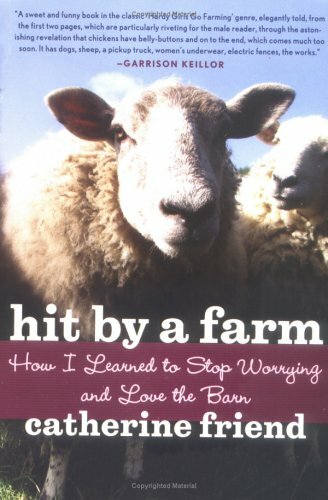 It was very funny, and I can relate to the barn worries, but it was not as hilarious as I expected after reading the stories on Catherine's weblog about her farm life with Melissa and the flock, and the ducks, the dogs, the llama's and the lambs. http://www.hitbyafarm.com/farmtales. ...and the book came back to me, from my first victim, the professional caretaker for all the animals at the nature education center where I work. I assume she enjoyed it, I will ask her after her holidays. in the meantime I will find someone else for it.